Central Park, formerly the Cavalier Diner, is a great place to grab a bite to eat. During the day it’s a casual/quasi-upscale restaurant. Most entreees are priced around $20.00 and there is an extensive wine/cocktail list as well as an equally impressive sushi list. During the night they move many of the tables out of the restaurant and the space is transformed into a nightclub. DJs and dozens of large high definition televisions are mounted to the walls. If you enjoy sports, this would be a great place to watch every major sporting event. Here is a photo of my burger. 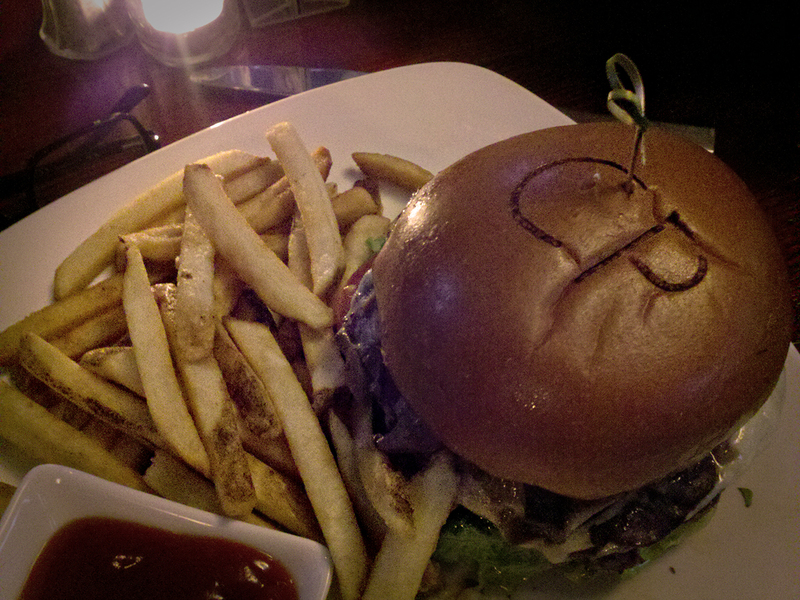 I love the “CP” branding on the bun. Nice touch!